The Monument Movie Club offers a great family outing or an alternative to the student pub-crawl. The Club screens two movies most Saturdays – a family friendly film at 5pm and a second movie at 7.30pm geared towards a more adult audience. 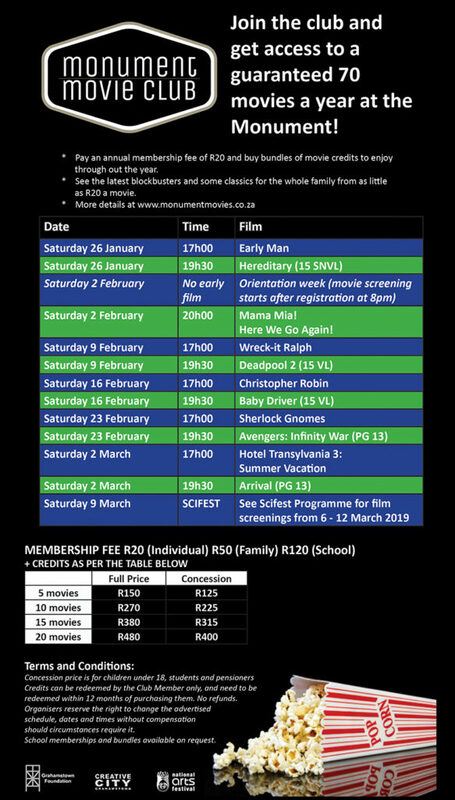 Members need to join the Club and can then purchase movie credits that start from as little as R30 a film. 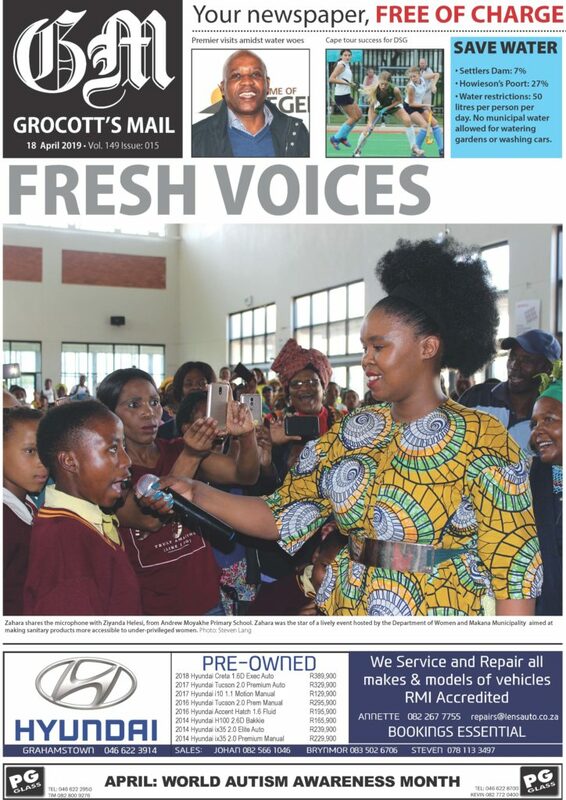 Annual membership costs just R20 for individuals or R50 for families. There’s popcorn (of course! ), a mini-bar (selling beer, wine and cool drinks) and a tuckshop. Groups – birthday parties or school groups – are catered for and we can arrange special screenings on request. Catch the best sunset in town from Gunfire Hill and join us for a movie or two at the only big screen movie theatre in town! 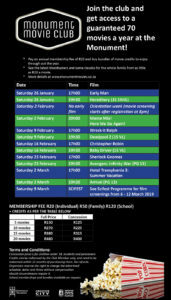 join online at www.monumentmovies.co.za or email movies@nationalartsfestival.co.za.